A handy little source of inspiration. We writers can’t be inspired every day. Sometimes we get burned out. Other times, we have ideas, but they just don’t seem appealing at the moment when we sit down to write. 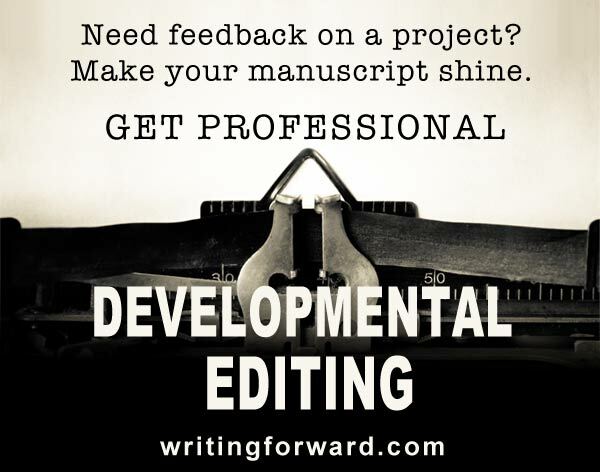 Sometimes we need to take a break from a writing project and spend a little time on shorter projects, which can recharge our creativity. Other times, we’re just stuck in a writing slump. That’s when keeping a little stockpile of writing ideas and inspiration is a good idea. I received my copy of The Pocket Muse as a gift a few years ago. Unfortunately, it sat on my bookshelf for far too long. But recently, I cracked it open and started perusing it. And I found it absolutely delightful. It’s a lovely mashup of prompts, writing tips, and project starters. There are also photos to help you generate ideas. Plus, the author shares her own writing experiences, insights, and anecdotes in short essays throughout the book. Each page contains a prompt, image, idea, quote, writing exercise, or bit of wisdom. This book is a treasure trove for writers. Jeremy is racketing across the lawn as we speak! Can you hear earthworms snugging out of the ground as the sun greens the trees? Verbs are sometimes a matter of opinion. I just love that! If we writers don’t make language fun, who will? A photo of two hippos includes a caption that says it’s your job to figure out how these two hippos ended up in a school parking lot. This book is packed with ideas and inspiration. But it also contains plenty of wisdom and offers practical tips. For example, there is a list of classic story elements: setup, complication, rising action, meanwhile, climax, and denouement coupled with examples from the classic tale of Goldilocks and the Three Bears. It’s an excellent and simple example of major movements and elements that need to be present in any good piece of fiction. 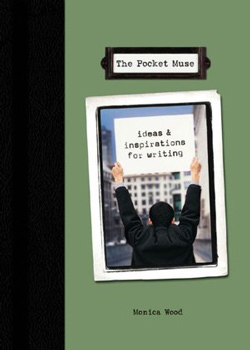 The Pocket Muse is an ideal gift for any writer (including yourself). It’s a lovely little hardcover, perfect for your desk since it is both decorative and useful. When you need a break, are stuck in a rut, or just need something to pass a few minutes, this book will be a treat. You can flip through it, open it to some random page, or read through it from cover to cover. Any which way, you win! Pick up your copy of The Pocket Muse today! 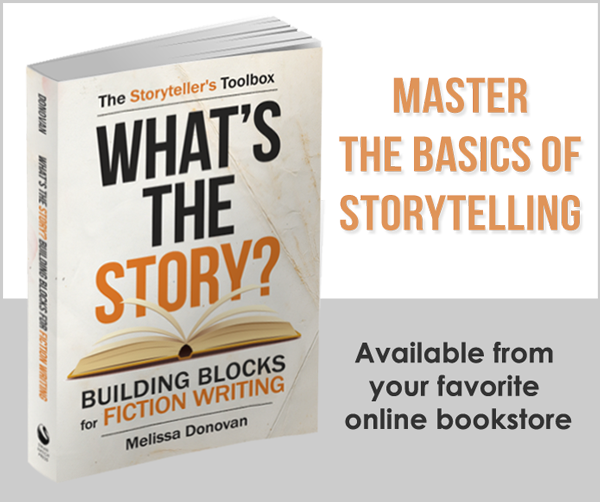 And of course, this book will help you keep writing. I came across the book a few years ago by accident and it’s great – it’s so open in terms of what you can do with each prompt, and it’s the kind of thing where you can set yourself the challenge to work on them all in turn, or you can just open the book and work with what you find. I read through the whole book and marked pages that I’d like to come back to, but I also flip it open to random pages sometimes. It’s a nice way to take a two-minute break between tasks. I have both books as well and enjoy them. The New Pocket Muse it out at Barrnes&Noble, it’s the 3rd Pocket Muse book. I’ll have to take a look at the sequels! I enjoyedt this book especially in that it is usable for multiple mediums. It’s inspired poetry and short stories and scripts alike. It changed how I look at the creation process. I can find inspiration everywhere now! Yes, that’s one of the things I love about it too. I do love books about specific forms and genres, but I also like books that address a wider range of writing. The Pocket Muse is perfect for that! I’ve had this little book for a while too and it’s a little gem – or a big gem, depending how you look at it. It’s entertaining to read on its own and as a starter prompt for a whole story or as a prompt for parts of a story. Yes, it’s definitely a gem.